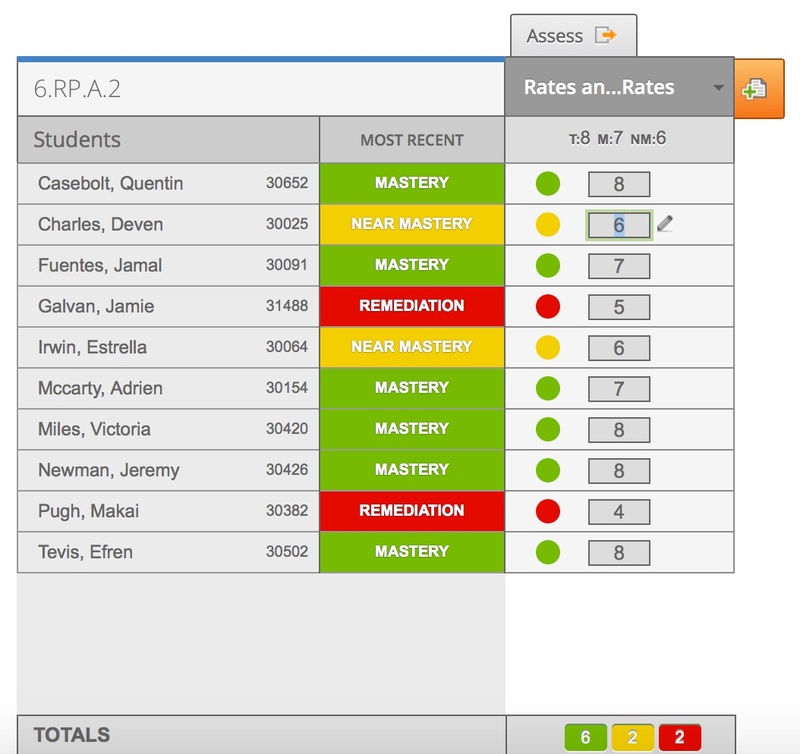 Click on the standard title of the assessment where you want to edit scores. Highlight or click on the score to change or delete it. Press the delete key or enter the score you want to change it to. To edit student answers, see Edit and Delete Student Answers.